Get medical help right away if you develop any type of skin rash while taking this medication, or if you have other signs of a serious allergic reaction such as hives, fever, swollen lymph nodes, painful sores in the mouth or around the eyes, or swelling of the lips or tongue. Your doctor will tell you if you should stop taking lamotrigine. Even after you stop taking this medication, it is still possible for the rash to become life-threatening or cause permanent scars or other problems. Who should not take Lamictal? Dizziness, drowsiness, headache, blurred/double vision, loss of coordination, shaking (tremor), nausea, vomiting, or upset stomach may occur. If any of these effects persist or worsen, tell your doctor or pharmacist promptly. Tell your doctor right away if any of these rare but seriousfainting, easy or unusual bruising/bleeding, unusual tiredness, stiff neck, muscle pain/tenderness/weakness, dark urine, yellowing eyes/skin, stomach/abdominal pain, persistent nausea/vomiting, signs of kidney problems (such as change in the amount of urine). List Lamictal side effects by likelihood and severity. What should I know regarding pregnancy, nursing and administering Lamictal to children or the elderly? Some products that may interact with this drug include: dofetilide, orlistat. Does Lamictal interact with other medications? 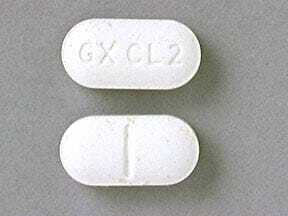 This medicine is a white, oblong, scored, black currant, tablet imprinted with "GX CL2". 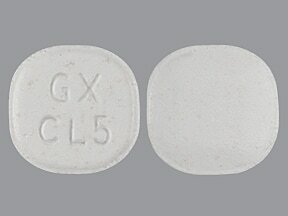 This medicine is a white, elliptical, black currant, tablet imprinted with "GX CL5". Are you considering switching to Lamictal? How long have you been taking Lamictal?